At T.E.D., we fully understand the value of your artworks is not purely financial, there is always a deeper connection that money can’t buy. Your artwork must be packed correctly to ensure it is stored and transported safely and securely. With over 30 years industry experience we understand the packing needs of artists, collectors, galleries, auction houses and corporate collections. T.E.D. Fine Art, are highly regarded worldwide and relied upon to safely handle all mediums, from the most demanding examples of fine art, sculptures, cultural heritage material, unique scientific equipment and items that are sensitive, fragile, have a high net worth or hold sentimental value. TED employees have outstanding technical skills and experience in their field. They have a comprehensive knowledge of industry best practice archival materials and their use. Whether you have one artwork or an entire collection, TED staff will consider all packing solutions available, selecting the most appropriate materials, designs and the method that delivers the best value for money. T.E.D. specialise in the design and construction of custom-made crating solutions, for any size of object, however large or small. This extends from value for money, one-way crates to the highest museum bespoke specification. Our custom-made crates are engineered to preserve the unique characteristics of each artwork whilst in storage and in transit. 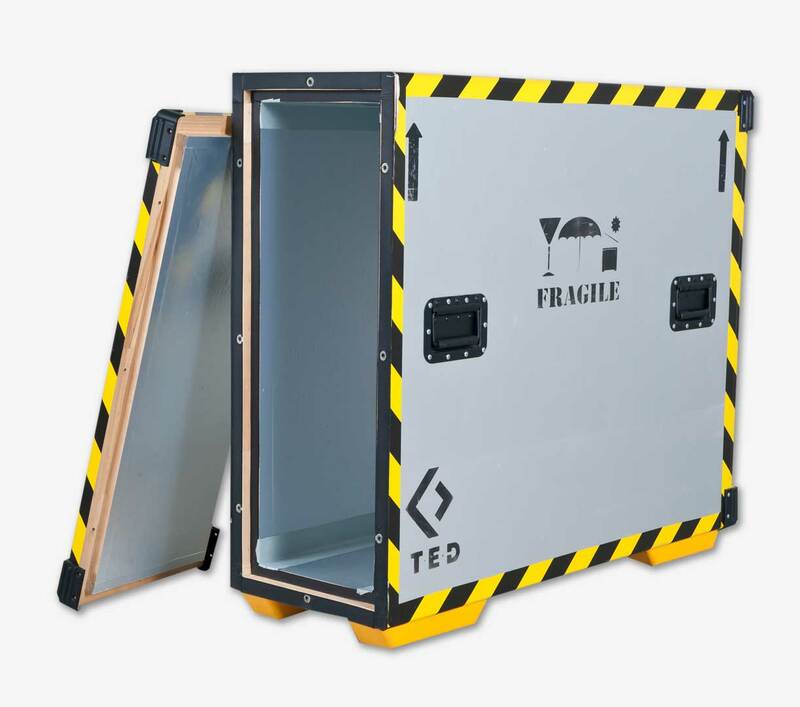 Specialised materials are incorporated into the crate design to protect against the effects of shock and changes in climate, ensuring the safe and secure transportation of any object worldwide.